This month, the Pine Barrens Society is hosting its first hike of the year at Cranberry Bog Nature Preserve in Riverhead, NY. The nature preserve is one of the last signs of a long, proud tradition of cranberry harvesting on Long Island. In the 18th and 19th centuries, the focal point of this native industry was the Long Island Pine Barrens. The Long Island Pine Barrens’ history has been so intertwined with that of cranberry production, due to the favorable conditions that its habitats provide for cranberry growth. In order to thrive, cranberries require acidic soil, a stable supply of fresh water and low-lying areas often formed by glacial deposits – all characteristic features of the Long Island Pine Barrens. Because of this compatibility, 19th century residents of Long Island quickly found a paradise for creating a livelihood via cranberries in the Pine Barrens. This was found to be especially true for those living along the Peconic River, the true center of Long Island’s cranberry tradition. 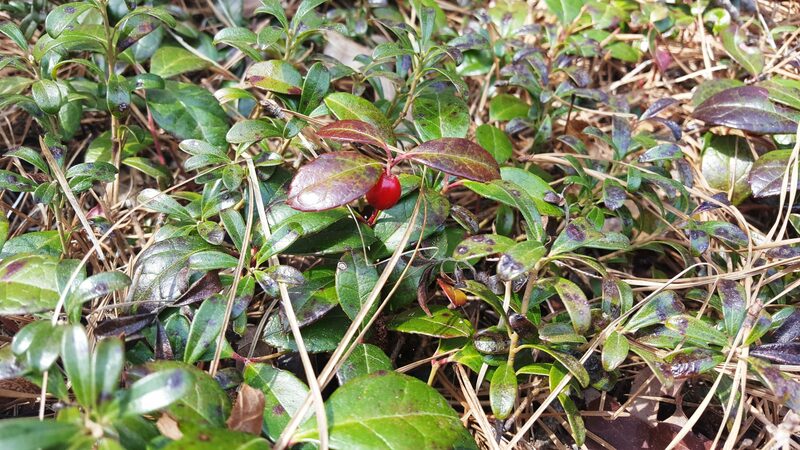 By the late 19th century, nearly three dozen cranberry bogs – ranging in size- existed on Long Island, a majority of which sited themselves along the Peconic. The abundance of cranberry bogs contained within the Pine Barrens in the 19th century helped make Long Island the 3rd largest cranberry producer in the entire country. Perhaps, the largest of these bogs was the Woodhull Bog – the location of what would become the Cranberry Bog Nature Preserve. Started in 1885, the Woodhull Bog was created by two local brothers who grew their first harvest of cranberries in 1889. By 1892, the Woodhull Cranberry Bog was singlehandedly producing over 21,000 bushels of cranberries each year. The bog continued to be one of the most successful on the island for more than forty years. Unfortunately, those living on Long Island today may not be too familiar with this cultural institution that was begun and made successful in the Pine Barrens. By the middle of the 20th century, the three dozen cranberry businesses on Long Island found difficulty competing with cranberry industries across the country that had the processing infrastructure absent on the island. By 1976, only one cranberry bog remained – Davis Bog in the Pine Barrens of Manorville, NY. Though Long Island no longer has an active stake in the cranberry industry, Long Islanders can still see the remnants of this once booming industry throughout the Pine Barrens – nowhere better than Riverhead’s Cranberry Bog Nature Preserve. So, whether you are joining the Society on our first hike of 2019 or not, Cranberry Bog Nature Preserve is one site Long Islanders should not want to miss; both for the sake of the natural and historic value. Believe us – the sights and sounds of the Cranberry Bog preserve are truly “crantastic”!